"Amazing place in a secluded spot on an otherwise busy island..."
Have a question for Viking Nature Resort? "Check with Reception) will pick you up/drop you off at Tonsai Pier." 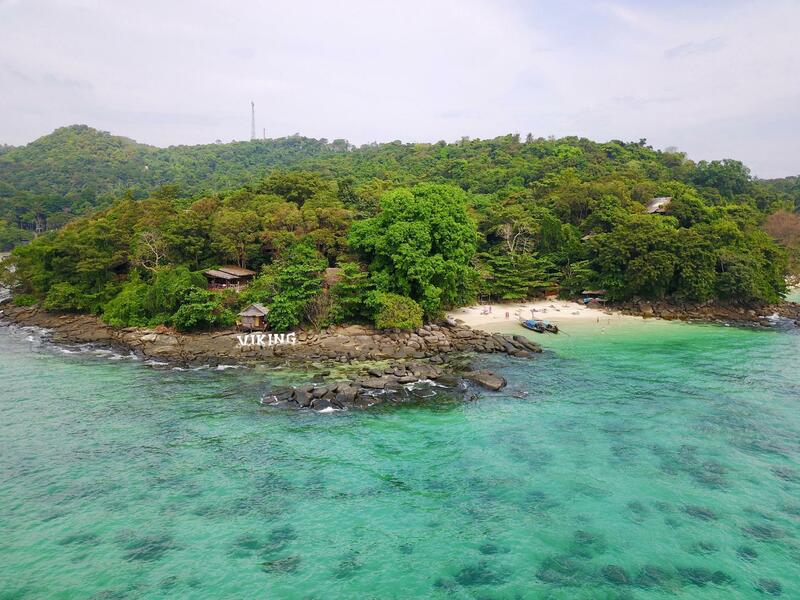 "Nice view, amazing private beach, traditional bungalow, best..."
Well-positioned in Ton Sai Bay, Viking Nature Resort is the ideal point of departure for your excursions in Koh Phi Phi. Only 48.00 Km from the city center, the hotel's strategic location ensures that guests can quickly and easily reach many local points of interest. 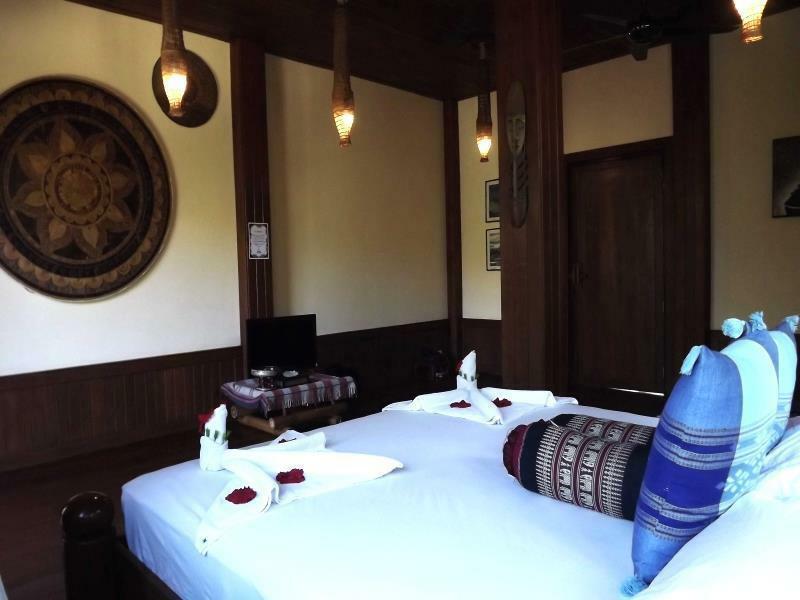 A well-kempt environment and its proximity to Pum Thai Restaurant & Cooking School, Princess Divers Center, Ton sai Shopping Area give to this hotel a special charm. Offering hotel guests superior services and a broad range of amenities, Viking Nature Resort is committed to ensuring that your stay is as comfortable as possible. Top features of the hotel include free Wi-Fi in all rooms, daily housekeeping, Wi-Fi in public areas, family room, BBQ facilities. Step into one of 60 inviting rooms and escape the stresses of the day with a wide range of amenities such as complimentary instant coffee, towels, umbrella, internet access – wireless (complimentary), air conditioning which can be found in some rooms. The hotel's snorkeling, private beach, massage, billiards are ideal places to relax and unwind after a busy day. 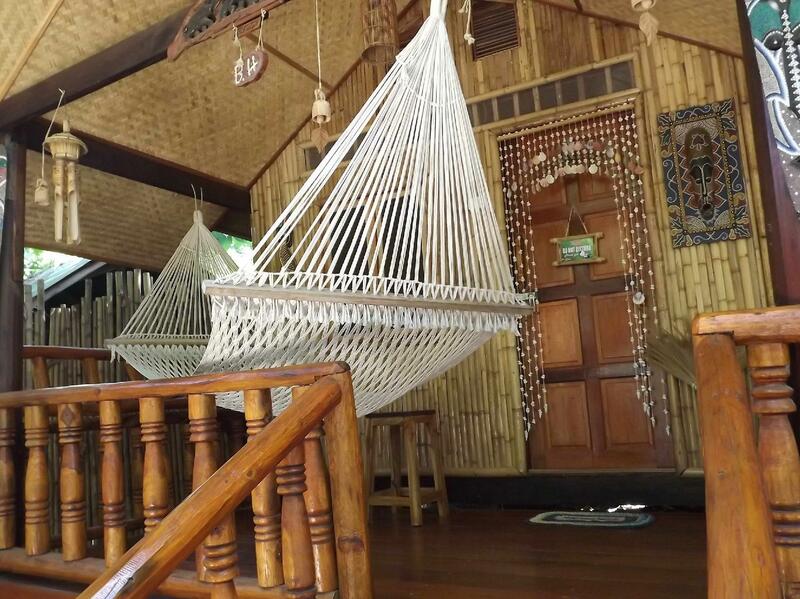 Whatever your purpose of visit, Viking Nature Resort is an excellent choice for your stay in Koh Phi Phi. 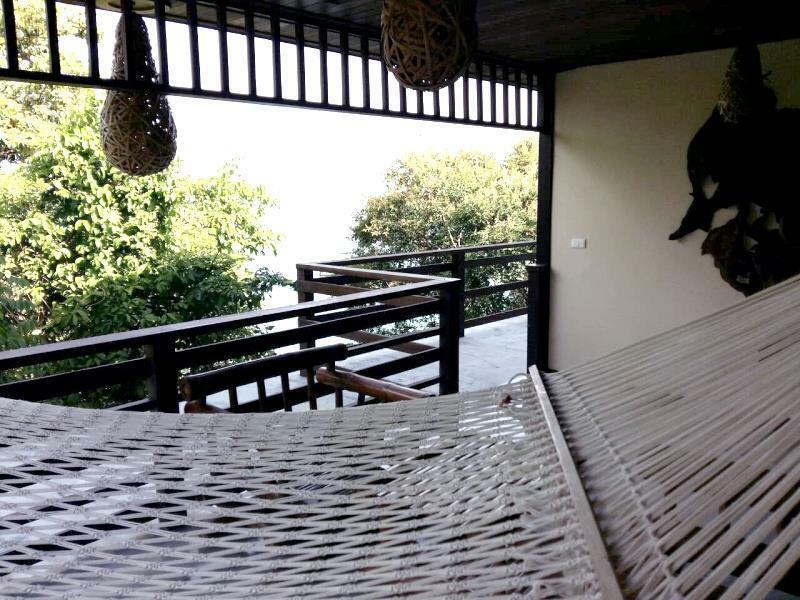 "15 minutes walk to town, lovely views, private beaches, love..."
Loved the resort. Had quite a few steps to walk up which didn't bother us. We saw a snake on the way up to our room so be aware of the wildlife. 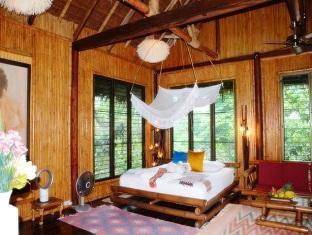 Fantastic verandah in the standard room with bamboo furniture and a hammock. A twenty minute walk from all the action in tonsai or a quick taxi boat. We loved it and would return! We stayed here for one night and found the place to be absolutely stunning. The beach is perfect.. Small and private.. Food was also amazing and priced appropriately. We were also given a free room upgrade which was a cherry on top! All services offered by this place are five star in quality. Highly recommended! A couple of points to note: the beach is a bit rocky during low tide. Also, you can avoid booking ferry tickets from the resort as they charge a premium. Nice view, amazing private beach, traditional bungalow, best services (boat trip, free testing, breakfast, welcoming, pleasant gift...). Perfect if you are looking for paradise, not in the city but at walking distance if you want to enjoy night life. Only 4* for the location due to several boats crossing in front, but not a issue for me. Everything else 5*! Enjoy your vacations!!! We were very pleased to learn that we got a free room upgrade upon arrival. Our new room was STEPS from the beach with a partial ocean view! the private beaches were nice, the food was very good and not nearly as overpriced as the main part of town, and the staff was very friendly. Great spot in the jungle away from the noisy part of town- but close enough for a pleasant, but rugged, walk into town. A pleasant retreat, friendly staff, beautifully appointed accommodations. Lovely natural setting. Water taxi traffic noise can be loud if you are in a beach front room. These are great bungalows in a secluded area. A little walk from town though (20-30 minutes). I would state that it is a moderately strenuous hike to town. Especially in the heat of the day. However, it’s a small price to pay to be away from the noise of the ‘party’ section. The private beach is a bit to be desired. It has a LOT of sharp rocks and unseen objects such as sea urchins. Long Beach is a bit of a walk over to the next beach and is SO much better. I would definitely recommend this place to anyone willing to walk a bit. I only have one wish: To find similar accommodation in other tourist destinations we plan on going. It's a tourist spot in itself. I would pay to stay here even without the beach, just the woods. That's how awesome it is. Unique setting, lots of paths and climbing. My room was huge with and expansive balcony; the only drawback being lack of AC but that was not a huge issue. Good food at the hotel restaurant, not that there was a choice due to the location, but nonetheless very reasonably priced and with nightly features and tastings. Small beach which was very private and clean. This is some 10 minutes walk (the pathway lit @ night) from Phi-Phi's flea market/nightlife, so it's far enough from the partying crowds, but close enough to pop into Phi-Phi village. (although obese tourists may find this stroll strenuous; and not for wheelie suitcases). Chalets look rustic from the outside (with the obligatory hammock on the veranda etc. 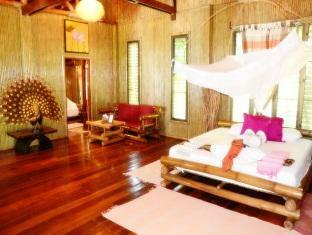 ), but inside are fitted with a comfy bed (with mozzie net), en suite, aircon, bar refrigerator and TV. Mosquitoes were rabid upon arrival, but mysteriously disappeared at night. Viking Resort has it's own private beach, but Long Beach is just next door (i.e. further out of town), so the location is ideal for shopping/nightlife & beach bumming. Complementary long boats (fized times; check with Reception) will pick you up/drop you off at Tonsai Pier. absolutely loved our stay here! you'll have your own beach!!! and next to the long beach which I believe is the best beach in Phi Phi. away from the crowds and parties.! 20 min walk to town. We highly recommend the resort. staff always helpful!! Thank you!!! 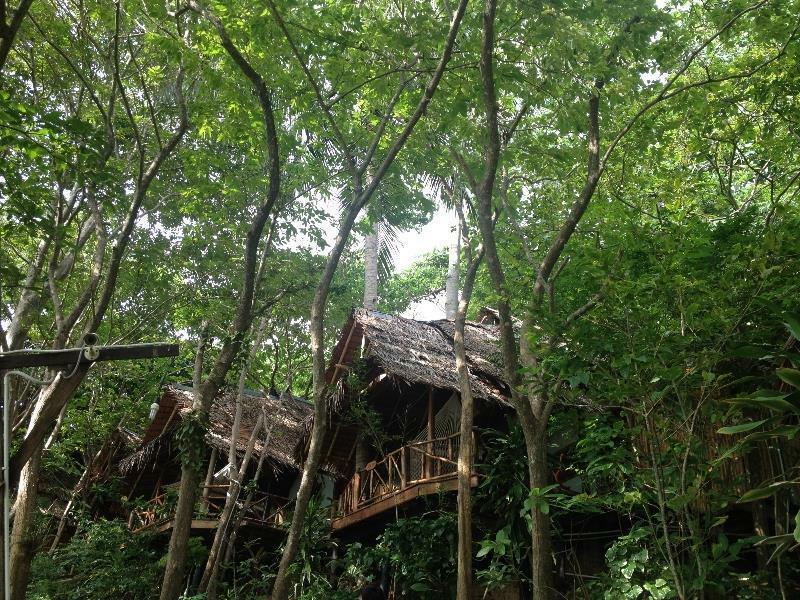 Pros: isolated from the noisy phi phi, thus very good romantic hideaway for couples. Food tasting is a cool concept but poorly executed. Cons: some areas in the resort feel like a construction site or dump yard. Food tasting is a cool concept but poorly executed- small amount of food which runs out in 2-4 minutes with no one responsible for it. It's a playground for grown ups! 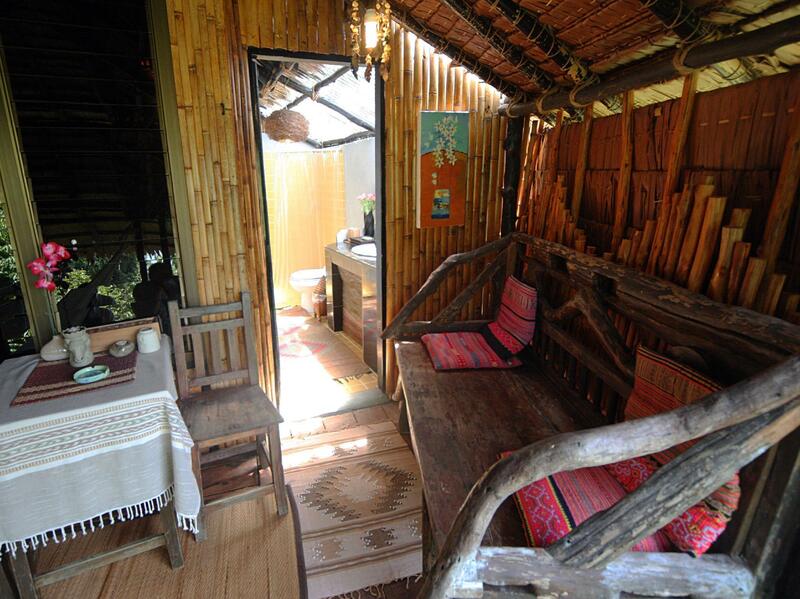 Rooms are built amongst the trees and for what they are, they are kept very clean. Just look at the pictures. This ain't a 5-star luxury experience if that's what you're after. It is an extremely memorable place to stay, the lovely beach by reception where you can get a long tail boat t the town if you don't fancy the 20 minute paved walk. Stay here. At £35 a night for the standard room, it's great value that you'll remember for a long time. This is my second time staying here. At £35 a night for the Standard Room, it is great value. It is a cool place, stuck among the trees by the beach. Very unique experience, food is decent too. It’s a 20 minute walk (fun walk) to town or a £6 longtail boat will bring you from town direct to the hotels beach. They clean the room daily, and make the bed, a big plus!. I recommend! The resort itself is great. Embedded in nature with various beaches around it. We had a „cheaper“ room, that was also great. But the toilet smells horrible all the time and outside you also smell the sewage too often. The staff is so so - some are friendly, but unfortunately most of them aren’t. It’s a big resort and therefore of course very impersonal. The prices in the restaurant are okay for a resort, but you can walk 20 min. to the center and enjoy some original Thai food in the little market there. I recommend to avoid the touristic places. We would definitely come back! The location was beautiful. White fine sands with a secluded coral cove that the water taxi's respected to drop you off right to the front desk. There were original stained bamboo decor to add the atmosphere. There was no AC but we didn't need it. There were high powered fans in every room. There was a plumbing issue, but it was fixed promptly and we were unphased by the snafu. & You can hike the whole island in one day.